The law of six degrees of separation applies to the hip hop dating circuit -- a land where fast money, fast women, and horny men collide, resulting often in fireworks. As you can see in the dating map we have assembled below, there isn't much distance separating stars like Rihanna, Drake, Kanye West, Future, Lil Wayne, & A$AP Rocky. Ray J even has his own dating wheel, which gives credence to Vince Staples' mind-blowing Theory of Ray J. 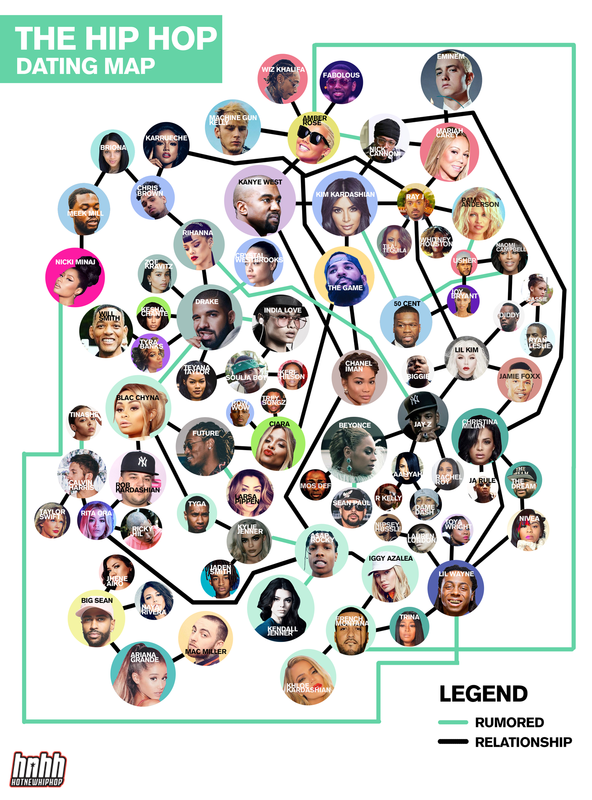 The hip hop dating map is a tangled web. View below and in the image gallery to see how the love lives of rappers, singers, and their ilk intersect.